Welcome to our supper club! 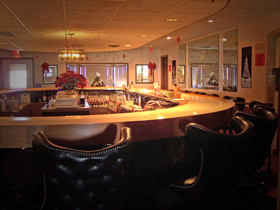 Established in 1985, Krabbe’s Kountry Klub has been a landmark and local favorite for over 30 years! 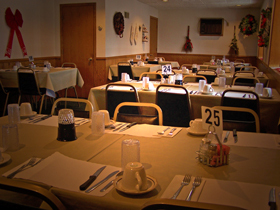 Steve and Cheri Krabbe, proprietors of the Seymour, Wisconsin supper club, invite you to enjoy some of the best seafood and steaks in Northeast Wisconsin. Featuring American cuisine and your favorite Italian dishes. Try one of the weekly specials or order off the full menu of appetizers, sandwiches, chicken, steaks, seafood and a full salad bar. A children’s menu is also available. Whether you’re joining us for dinner or hosting a small reception for up to 40 people, our staff is ready to make your steak and seafood dinner experience one to remember. 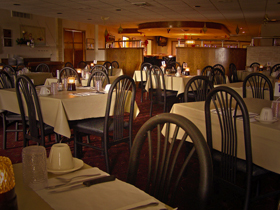 Our goal is to provide the finest quality food and service to our customers. We have an outstanding staff and use only the finest ingredients and food products. Full service bar available serving all your favorite beverages, cocktails (and our famous old-fashioneds) - including after-dinner ice cream drinks! For your convenience Visa and MasterCard are accepted. Gift Certificates are always available for any amount.